Free sparring in karate is a fairly modern innovation, developed post World War II as part of the drive to popularise karate and turn it into a sport. 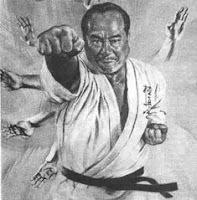 From there sport-based "distance" sparring ("shiai kumite" or "ippon shobu") spread rapidly throughout the karate world. However as I have discussed previously this type of sparring bears little resemblance to actual fighting and, very importantly, bears little resemblance to how karate was designed to be used. 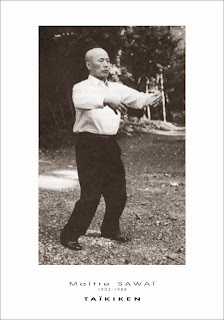 This is especially so when you consider that most karate techniques such as deflections/blocks and tenshin/taisabaki are only really applicable in what I have called the "melee range" - ie. the "toe-to-toe" range where blows are furiously exchanged, not the range where sports opponents circle each other looking for an opening. Parallel to the sport sparring, some Okinawan karate schools developed a form of free sparring that was continuous and free-flowing, based in the melee range and intended as a platform for the application of karate techniques. In goju ryu schools this kind of sparring is variously called "iri kumi" (IOGKF), "jiyu kumite" (goju kai) or "randori" (our name). The concept of this sparring is that you go from soft and slow (where you get a chance to actually implement the karate techniques you’ve learned) to hard and fast and ultimately to a substantial degree of controlled contact (which is more of a test or experience for “liveness” - not really illustrated in the video above). "I just don't understand why someone needs to spend two years before they can test what they have learned. I have yet to hear what I would consider a valid reason for this." Well firstly, they should "test" themselves in more limited sparring from day one. More on that in a moment. As to free sparring, the reason for the delay is because you are actually being taught to fight in a very particular way and to use very particular techniques. Granted, in many schools they never progress past the basics and only do "faux boxing" which are unconnected to their basics. However we try to develop the use of particular techniques in free sparring, such as deflections/blocks. If you just go straight into free sparring you end up doing "your own thing" which doesn't use any of the karate techniques. 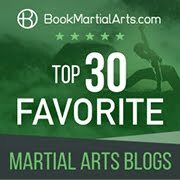 From a karate perspective you groove habits which are opposite to the ones we are trying to teach (deflect with tenshin/evasion - don't just duck, etc.). If you look at the sparring video above, regardless of what you think of it, you'll agree that we have a particular way of moving and deflecting/dealing with blows. It takes a long time to learn and develop. Because we spend our sparring in the "hot seat" of the melee range beginners get injured - and cause injuries to others too. So there is a safety aspect to not unleashing them into completely "unrestricted" sparring. We don't use gloves a great deal because we work intensively on the deflection aspect which isn't easy when gloves get in the way. In terms of controlled contact we also try to develop focus or "kime" which means deliberately focussing on a particular point rather than "missing" or "pulling" your punch (a very different concept that I shall discuss in a future article). Lastly free sparring is not real fighting, no matter how close you feel it might be - it is a kind of "dance" irrespective of the level of controlled contact. You know when it starts and you know when it going to finish. Karate is not concerned with protracted pre-arranged fights but deals with civilian defence scenarios like the single punch thrown at you in the car park etc. Our beginners are taught to groove responses to such an attack via limited stimulus-response drills. I've had many a beginner student come to me over the years and tell me how, after the first few lessons, someone threw a punch at them in an unprovoked environment. The student has blocked, countered and the "fight" was over. Stimulus-response training has served its purpose - and usually with the type of personality that wouldn't last a week in a boxing/MMA gym because the training doesn't appeal to them. Ring fighting produces very good fighters, but the shorter stimulus response drill is, in my view, not to be discounted as a means of teaching the "ordinary Joe/Josephine" something that will serve him/her well. For those who disagree I can say this: in all my years as a prosecutor I saw many surveillance videos of assaults; the majority related to just one or 2 blows (certainly the first one dictated the rest of the following events). 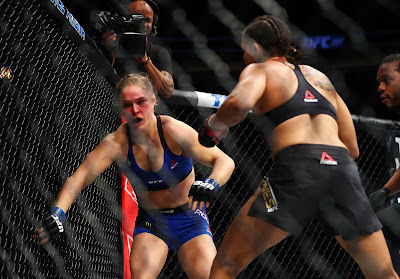 The video below provides an example of how many confrontations are principally about a single blow. In this particular case the aggressor does not actually throw an attack: but then again his motives are clear and the threat is real. 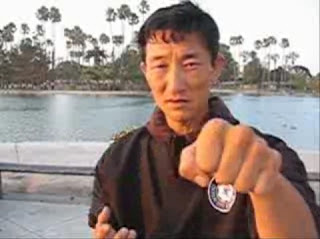 The defender (a karate instructor) responds to the aggressive invasion of his personal space with what I consider is an appropriate response; he hits the aggressor with a seiyruto (ox jaw strike) to the carotid sinus pre-empting an inevitable attack. This is a knockout blow that we drill in many of our stimulus-response drills. A surveillance video showing the use of a standard karate technique, the seiyruto (ox jaw) delivered in the melee range. Note the duration of the confrontation. By contrast, I have rarely seen any surveillance video that approximates a boxing/MMA match (with opponents circling each other, looking for openings, etc.). True, Youtube and other online video sharing sites are brimming with "MMA style" backyard brawl footage, but this is largely consensual (ie. 2 people who have agreed to fight each other); it is not representative of an ordinary civilian facing an unexpected and/or unprovoked assault (which is what civilian defence is geared towards dealing with). If you get yourself involved in contest-style street match you usually have only yourself to blame. Again, none of the above should be read to suggest that combat sports skills are not useful (if not supremely effective) in self defence; in arguing that karate and similar arts have a workable method of self-defence I am not simultaneously seeking to denigrate the former. 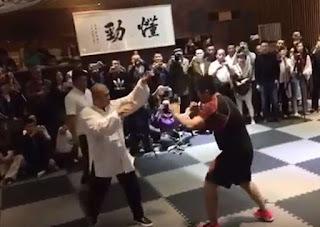 However the flip side to this is that the effectiveness of ring fighters generally does not necessarily invalidate the civilian defence strategies employed by karate and similar traditional martial arts. I really like the new template! Great new look for a really great blog. I was trying for an "easier to read" template and I'd hoped this would do the trick. That's one of the best posts I've seen in a long time. 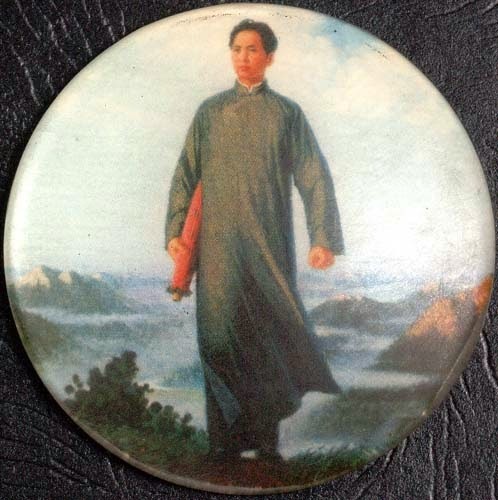 My primary art, taekwondo, also suffers from the outfighting and sport dilution. Still what was done in that video is no different than the many self-defense drills we used to run at my old school! Taekwondo and karate have more similarities than differences - the fundamentals are really the same. 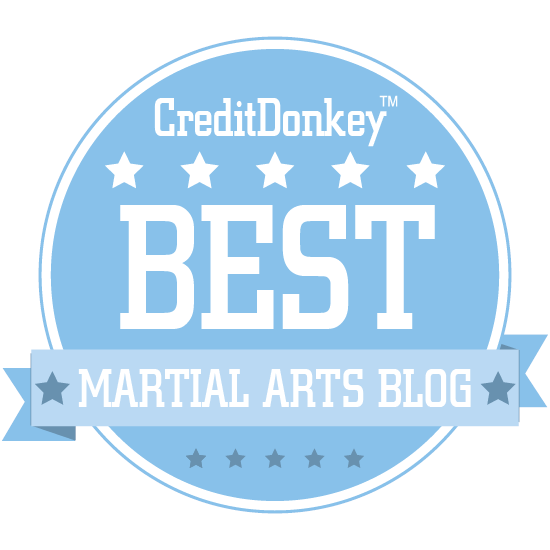 If your tkd is anything like Colin's then you have an excellent art indeed! Both our arts suffer from sport dilution; what annoys me is when critics spot the most diluted examples and assume that they are indicative of the arts as properly applied! Thanks for the kind words and for your support! As always, great blog. I second the new look comment. I really like that as well. What are some of your stimulus-response drills? Are they similiar to what some styles call "ippon kumite" or one-steps? Kihon kumite (standing punch or kick then deflect and counter) - this also covers drills such as our tanren and our unique "kick/touch" drill which grooves a connection between a leg lifting/loading for a kick and your own immediate corresponding movement. Ippon kumite (one step or, more realistically, one lunge, single or multiple [realistic] attacks then deflect and counter). 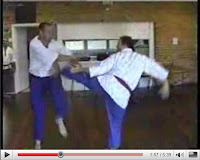 Responsive ippon kumite (as above, but with a response to a counter). Kakie or push hands sensitivity drills; where you break from a flow and attack while the other responds with a deflection/evasion and counter. Embu or 2 person forms which, while pre-arranged, are quite daunting when done hard and fast and groove an appropriate response in terms of angles/deflection/posture etc. to an attack of that kind (and also help you to deal with the likely follow up to your movement). It is my aim to provide a comprehensive array of detailed materials and resources along this line in a new website I am developing (for free, of course, but I'll probably try to get a bit of advertising revenue to cover the costs!). What really gets me is how diluted individual schools become over time. I see videos on youtube of a karate championship held 30 years ago, and the fighting is almost full contact, complete with blocks and evasions. I look up that same championship held today, and there's a lot of faux boxing. My TKD school resisted the sport fighting influence for a long time. 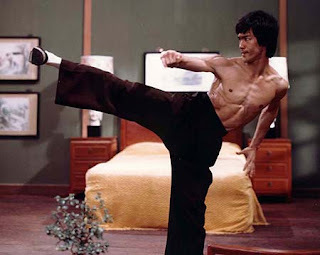 The first people to attain their black belts from that specific dojang (in the 70s) are amazing, fast, strong, tough, use defense as well as offense, focus on self-defense applications, etc. The newer blackbelts (who attained it 10 years ago) pale in comparison. And every year out of the five years I was there, I felt as if the school slowly became less focused on self-defense and basics, and became more focused on training for the "upcoming no-contact competition". Oh, how the giants fall! I recognize most of that strike Jay did. 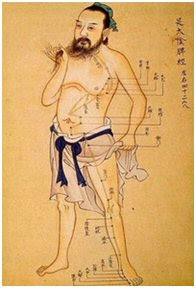 A TFT movement would have followed the man as he went down and kept applying force using the force of one's body falling and shifting into a lower stance, instead of hitting the neck with some rotation and then falling back into a normal forward up stance. By TFT, I mean the system and training methodology which I first trained in. Accuracy is the most important, but absent accuracy, we have duration and more force to even things up. The objective is to get the same result, to guarantee the loss of bloodflow to the brain. Guarantee it requires as much force, for as long as one can sustain it. It's geared also for when extreme muscle fatigue sets in and you literally need your body's momentum to act as your power because you can no longer use your muscles any more. Your remarks concerning consensual fights are important for SD or H2H training. If you look at the youtube comments, only some people know conceptually what kind of strike was done and what the target was. And out of those people, even rarer are those who know how to execute the strike with accuracy. Most of the people we will face off are the untrained mass murderers, serial killers, sociopaths, or general anti-social people who can't get a clue. And those individuals often lack a defense at all. Setting them up for a serious offensive strike. Btw, the other reason TFT advises you follow your opponent down is two points. 1. If you want him dead, simply push your momentum into his falling head and then when his head cracks the concrete, it does so with his falling body's momentum plus yours on top of it. Almost guaranteed head fracture and leakage. 2. If you don't want him dead, PREVENT his dead from hitting the concrete by physically controlling him. If you think he poses enough of a threat at that point that you need to slam his head into the concrete, do so, but usually that's not required. Usually. It's just as bad to not be able to kill someone when you need to as killing someone when you DIDN'T INTEND TO. And hitting someone and knocking them out, and having them kill themselves by falling on concrete, is almost as bad as getting stabbed to death. Follow the target wherever it goes and maintain full control, either for destruction or to prevent injury in practice/streets. The only reason I know to prevent someone's dead from hitting the ground is because I've learned how easy it is to kill them with concrete.